Chamomile - Creativemarket WordPress Theme Your brand is sweet and sophisticated. 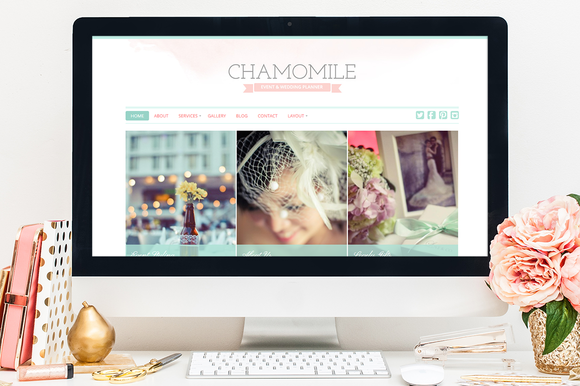 Bring charm and chicness to your website with the Chamomile WordPress Theme. This enchanting theme with mint green color scheme tells a tale for photographer, paper stationery, wedding, and event planning brands.